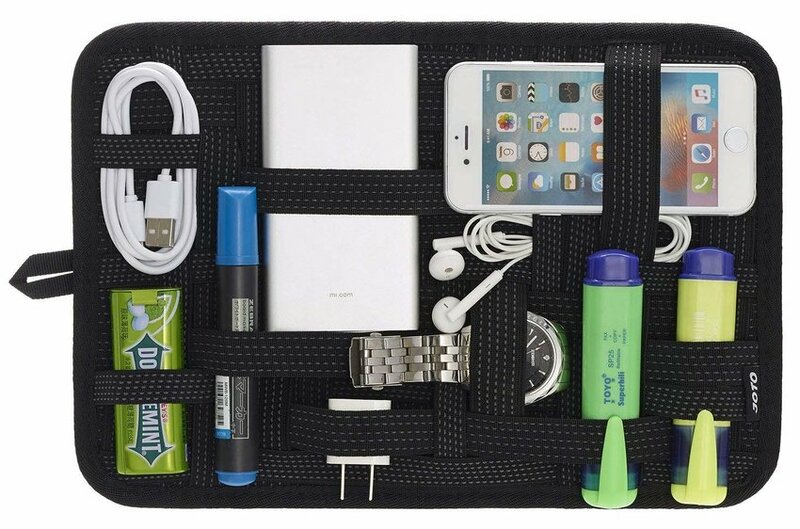 For the gadget guy in your life, help him get prepared for his next trip with a travel cable organizer. If he’s got a lot of electronics, it’s hard to keep track of all the cords and chargers needed for each device. This strappy organizer from JOTO leaves no room for excuses when it comes to packing cables safely and efficiently. With dozens of flexible, crisscrossing rubber straps of varying shapes and sizes, it can hold everything from your computer’s mouse, to earbuds, to SD cards. Music and traveling go hand in hand. That’s why a Bluetooth speaker will make his every trip that much better. 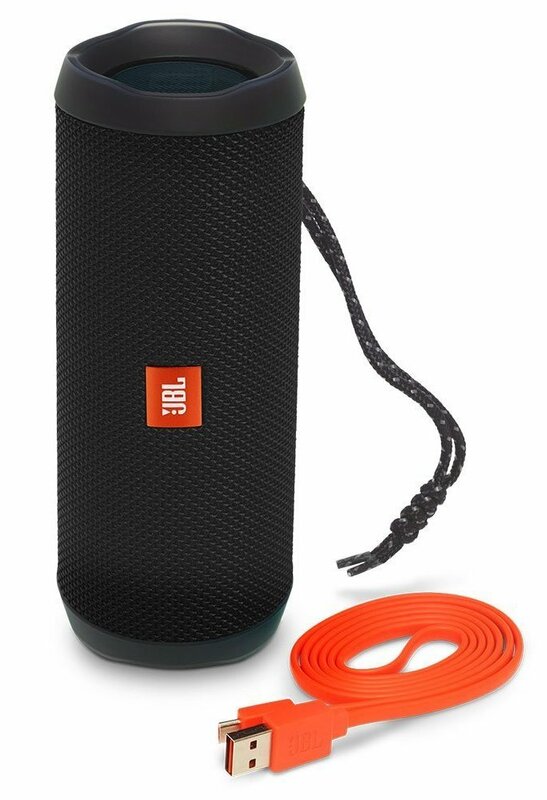 The JBL Flip 4 makes a great choice as their cylinder-shaped Bluetooth speaker is waterproof and has a 12-hour long battery life – perfect for outdoor adventures like camping and hiking trips. He can access Siri or Google Now directly from the speaker with just the press of a button and can link other enabled JBL speakers together for a total surround sound. Lastly, this speaker allows the connection of two devices, enabling him and his travel partner to alternate tunes – no more arguing over who gets to play D.J.! Any beach bum or a backwoods camper will tell you that they love kicking back in the comforting folds of a hammock. Whether it’s out of necessity (e.g. needing a place to sleep in the middle of nowhere) or lazy desire (enjoying a beer with your feet up), it’s hard to go wrong with a hammock. Kammok’s Roo Hammocks are made from silky soft nylon, coated in a water-resistant repellant, can hold up to 400 pounds, and weigh just 10 ounces. For those guys who like to spend nights under the stars, consider a more heavy-duty hammock with a built-in mosquito net. Chances are a guy who travels already has a dependable backpack, so no need to waste time on trying to select one for him. 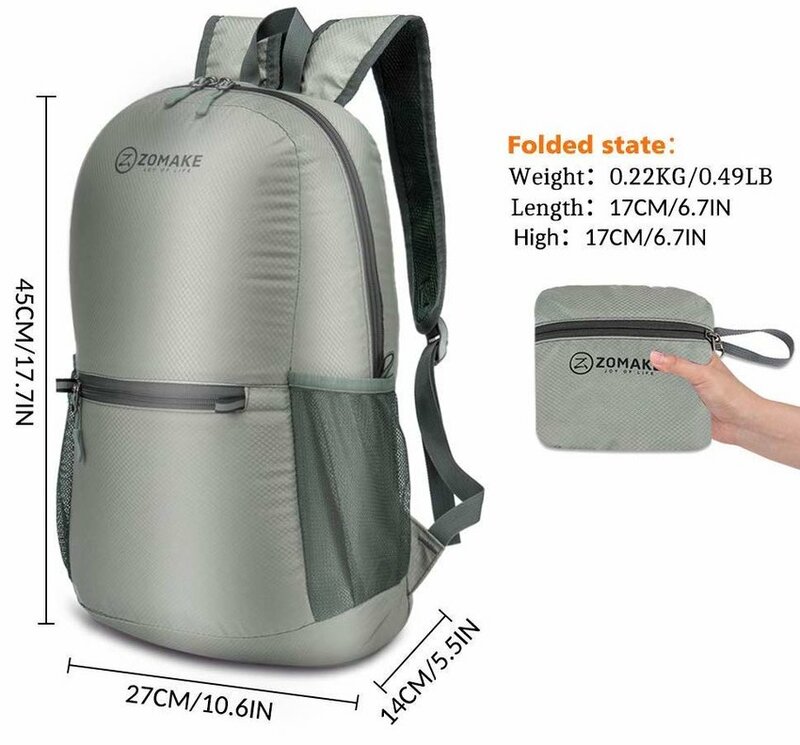 What he may not have, however, is a super convenient, foldable, ultra-light, water-resistant daypack. This is a versatile gift that can be used for spontaneous treks into the woods from the campsite, exploring a new city rain or shine, or a sightseeing day trip. Pick one that folds up into its own pocket like the ones from ZOMAKE (available in 11 different colors) or Gonex. These days, so many travelers are using their smartphones as their primary camera. In fact, it’s common for travelers to prefer using their slim and easy-to-transport phones to snap pictures as opposed to a bulky camera. If you know a guy like this, then give him the gift of more professional looking pictures with a set of snap-on lenses. These will transform his smartphone into a full-fledged camera and him into a skilled photographer. 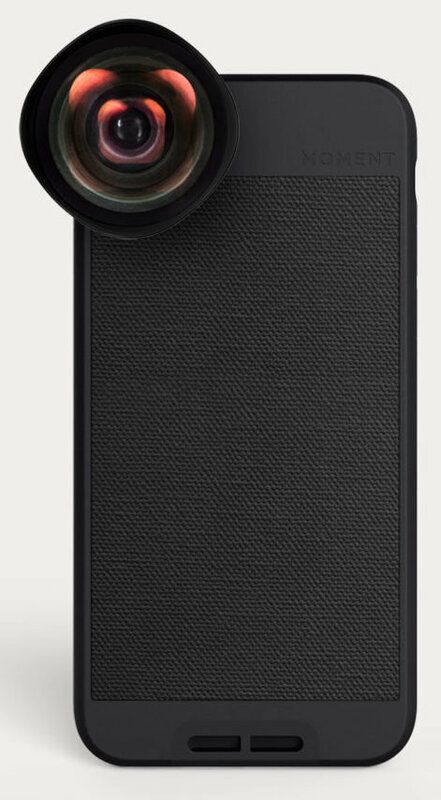 The kit of four detachable lenses from Moment lenses allows iPhones, Pixel, and Galaxy phones to take wide angle, fish eye, telephoto, and macro photos. Serious coffee drinkers find it hard to settle for the more convenient instant coffee when traveling. The good news is, he doesn’t have to. Bodum makes a stainless-steel travel coffee mug and French press in one. The outside looks like a normal thermos, the inside is your own personal-sized French press. Now he can make his coffee where ever there’s access to hot water. Mornings on the road just got a whole lot better. Bonus: Works for tea, too! It’s not the cheapest gift on the list, but if you really want to spoil the guy in your life, this is surely the way to do it. This compact camera/video camera is a dream for those who love to document their adventures. It’s palm-sized, easy to take absolutely everywhere (including 10 meters underwater without a housing), and boasts the best image quality (4K) of any of the GoPro cameras yet. Other cool features? It automatically sends the videos directly to your phone where the program converts it into a cool edited QuikStory video. It’s also programmed to respond to 14 different voice commands. 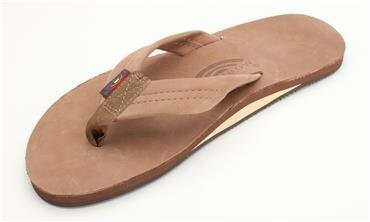 Any southern California resident will tell you that these sandals are the best of the best when it comes to flip-flops. Founded in Laguna Beach in 1974, this former one-man-show has turned into a 2 million-pair-a-year corporation! SO, why pick Rainbow? Each pair is hand-made with quality material and a specially formulated glue that ensures you won’t have to deal with broken straps while you’re out exploring the world. Don’t believe us? This company is so confident in its quality of work that they offer the Rainbow Guarantee, stating the sandals are under warranty for the life of the sole. This means Rainbow will repair your sandals for free until you wear through anywhere on the top or bottom of the sole as long as the damage or defect is due to a manufacturing issue. If they can’t repair them, they’ll replace them. This is a gift for life!